When you can’t use a debugger to troubleshoot issues for some reasons, you may employ logs and metrics to find out what went wrong. 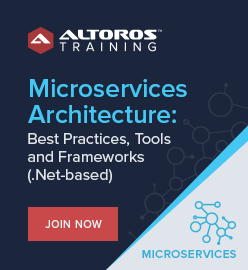 Anton Soroko of Altoros explores best practices for full-stack Cloud Foundry monitoring, presenting tools and recommendations for developers and operators. In this post, we give some tips and tricks on how to simplify monitoring of Cloud Foundry deployments with centralized logging and comprehensive metrics. The GA release enables high availability of tracked metrics and the tool’s components, as well as introduces increased scalability due to sharding. Need to bind Cassandra, Jenkins, or some other services to your Pivotal Cloud Foundry deployment? Find out how PCF tiles work to help you out. A Cloud Foundry monitoring tool from Altoros now extends to track metrics generated by the Pivotal Cloud Foundry (PCF) distribution.